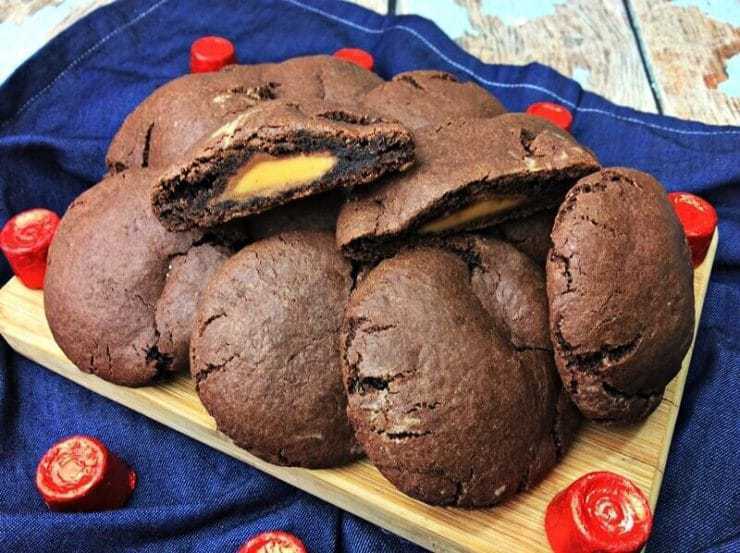 These Rolo stuffed chocolate cookies are going to be a new family favorite. 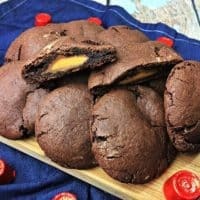 Delicious, soft, and chewy chocolate cookies with an ooey gooey Rolo center. What's not to love about Rolo candies? You get the delicious chocolaty coating and then the rich, creamy, chewy caramel center. But what if you surrounded that delicious candy in a chocolate cookie? It's a cookie that everyone who loves chocolate and caramel are going to go fall in love with. The Rolo flattens and melts a bit during baking, leaving the center of the cookie filled with the Rolo's delicious, gooey caramel. Mmmmm so good! 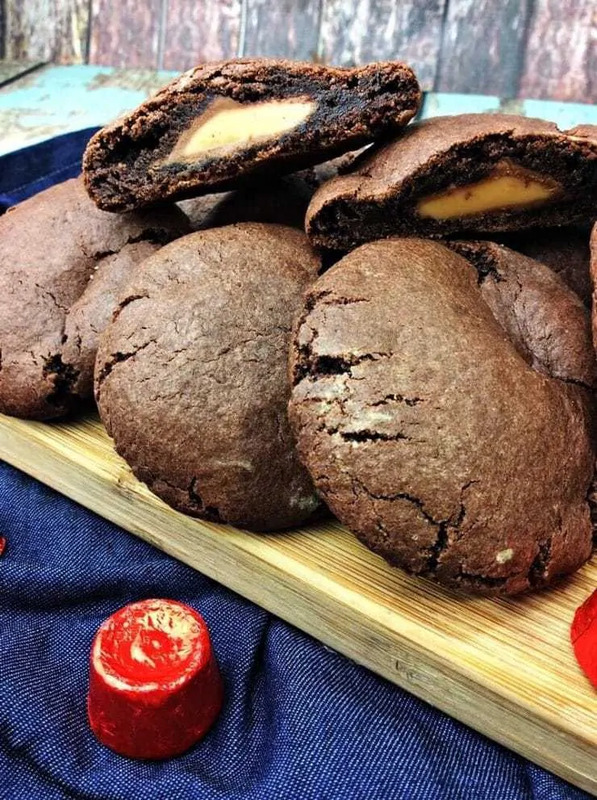 Your family is going to go crazy for these homemade Rolo stuffed cookies. Enjoy them with milk, hot chocolate, or a nice cup of coffee. However you serve them, they are sure to be a big hit. Looking for a cookie recipe for your annual Christmas cookie swap? These bad boys are perfect! If you want, you can make them a little bit more Christmasy by adding some green and red sprinkles on top. Ooey Gooey Rolo stuffed chocolate cookies would also make an amazing item for a bake sale because who can pass up caramely goodness?! No one. That's right! Whisk flour, cocoa powder, and baking soda together in a bowl. Set aside. Using an electric mixer, beat brown sugar, white sugar, and butter in a large bowl until smooth and creamy. Add vanilla and eggs; beating well. Slowly add flour mixture one tablespoon at a time, stirring well. Chill cookie dough in the refrigerator for 15 minutes. Using a small ice cream scoop, form the cookie dough into small balls. Then, place a Rolo candy into the center of each cookie dough ball and wrap the cookie dough around the Rolo back into a ball shape. If your dough gets too sticky return it to the refrigerator to harden up slightly. Place each cookie ball onto the lined cookie sheet, about 2 inches apart. Bake at 375 for 7-10 minutes or until the baked cookie is slightly cracked. Allow the cookies to cool on the cookie sheet for about 2 minutes, then transfer cookies to a wire rack to cool completely. Those cookies sound so good! Love a surprise inside like that.